Practicing shooting at an indoor range can make this a challenging task. 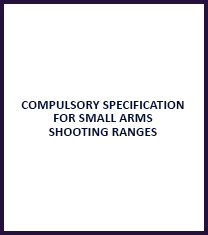 Indoor ranges often have restrictions that outdoor ranges don’t. Indoor ranges also tend to be used by busy people in urban areas, who really need to use their time as effectively as possible. However, it’s common to see shooters come to an indoor range and not use their resources efficiently while they are there. The single biggest mistake people make when going to any indoor or outdoor range is not having a practice plan when they get there. Without a plan, shooters typically just launch rounds down range and have no idea whether they have improved their competency or even achieved any useful result. If your state doesn’t have a qualification course, then pick one that you find appropriate. Record your results and have someone else witness it, if possible. An Internet search will turn up various state qualification courses. A practice plan should be based on some baseline skill set that you think is appropriate to your situation and needs. This could be your state’s concealed weapons qualification course, a local police qualification course, a test you learned from a shooting class, or any other performance standard you think is appropriate. When you first start practicing methodically, shoot your baseline evaluation and record your results. Note what your weaknesses were and develop your future practice plans to improve your weaknesses as well as maintaining your strengths. It is a common tendency to work on things we are good at. We also need to include relevant tasks that we aren’t as good at in our plan. Dry fire is the process of manipulating your firearm without ammunition. It’s an important part of the firearms training process. However, many people or their families are uncomfortable with doing dry fire at home.If that’s the case, then do some dry fire at the range. There’s no rule that says every shot you fire at the range has to be live fire. Doing dry fire is also a good warm up for your live fire practice session. Watch how much or little your sights move during your dry fire, and you will have a much better idea of how smoothly you are working the trigger. Have someone else observe you or video yourself while you’re dry firing to get some feedback on what you need to work on. One of your most important habits to build is marking your targets. If you don’t mark your target, your bad shots are obscured around the good shots; there’s no feedback to you when you make a bad shot. Bring a roll of masking tape to the range and tape your target after every 6-10 shots. A bingo marker also works well. You’ll be amazed at how your skill improves when you don’t have 50 holes in the target to hide those bad shots. You should practice the first shot more than anything else. 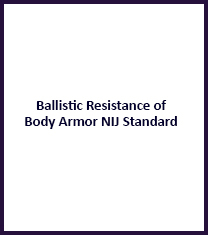 This is critical for those who choose double action weapons for self defense. The double-action first shot is the single most missed shot in shooting; it needs to be practiced a great deal. One-shot presentations are a tremendously valuable drill. Start them from a ready position, either high ready or low ready. Bring your weapon onto the target and fire one round only. Practice picking up the sights or indexing the weapon and firing a good first shot, then come back to the ready position and repeat. Tape your target regularly; this drill will yield large dividends. 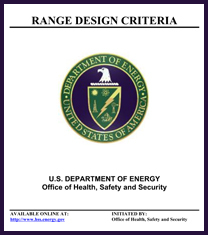 If the range has multiple dot targets, such as the DEA Dot, use those as well as silhouettes. Some silhouettes also have smaller targets along the sides of the silhouette, which are a great combined training aid. Think of any shot that misses a silhouette as having a busload of nuns and orphans in its path with a limousine full of personal injury lawyers following behind. That will help emphasize the requirement for accountability of every shot you fire. Include ball and dummy drills as part of each range session. This is especially true for revolver shooters. All revolver shooters have to do is to open the cylinder and spin it several times each cylinder; you’ll get lots of ball and dummy that way. Auto-loader shooters should put at least one dummy round in each magazine, and then mix up the magazines so you don’t know where the dummy is. In either case, if you’re watching the sights, you will see the pistol nosedive if you have a flinch. Then you can work on eliminating it. Many indoor ranges don’t allow you to draw from the holster. That’s not the obstacle that many people think it is. Substitute working from the high ready position. Your high ready position should be the midpoint of your drawstroke anyway, so you are getting half of the drawstroke in for practice. Deliberately practice your weapon manipulation drills while you are at the range. Reloading, decocking, and clearing your weapon before it is empty are all drills that you should consciously do in the course of your practice session. Work on them carefully and ingrain proper habits. These skills can easily be fumbled during a stressful situation if you haven’t worked on them deliberately on the range. 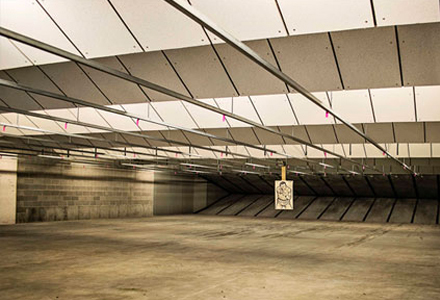 Indoor ranges tend to have a much lower light level than outdoor ranges. In some cases, it’s even possible to dim or shut off the lights, depending on who is there. This makes indoor ranges an excellent place to practice your flashlight shooting techniques. Flashlight shooting is a skill that requires more practice to become proficient at than many people realize. Even if you can’t dim or shut off the lights, your flashlight beam will tend to show on your target much more than at an outdoor range. Try illuminating your target with your flashlight and see how well you can place your shots while doing so. The booths at some ranges are constructed in such a way that they can be used to simulate both right and left side cover. If that’s the case, and the range allows it, practice different flashlight techniques to determine which work best for you on either side of cover. Timing your shots is a key component of effective practice. Not all, or even most, of your shooting has to be timed, but if you never time yourself, you are shortchanging your training regimen. Some ranges have programmable targets that can be set to display only for a given period of time. If that resource is available to you, you should definitely learn how to use it. Where turning targets aren’t available, other methods to time your shots are available. Unfortunately, conventional shot timers tend to be less than useful on indoor ranges because of the gunfire in adjacent stalls. An interval timer that vibrates (such as the Gymboss) is a much more workable solution for indoor range timing exercises. Depending on the range layout, you may be able to set up a small video camera to record yourself shooting. What you can learn about your gun handling and shooting skills by watching yourself on video is frequently amazing. Some specific items to look for include poor muzzle discipline, jerking the trigger in anticipation of the shot, and failing to follow through after the shot. Record your results. Things such as scores on specific courses of fire, malfunctions, persistent shooting issues, and differences between point of aim and point of impact should all be recorded. Some of these can be better documented by taking pictures, rather than writing them down. The eye and ear protection available at most indoor ranges usually isn’t very good. Ear protection seldom fits well and the glasses are usually scratched. You will enjoy yourself much more with your own personal protection. Indoor ranges are loud compared to outdoor ranges. Look at the Noise Reduction Rating (NRR) of the muffs you consider for purchase. Earmuffs should have a NRR 26 or more for indoor ranges. Don’t hesitate to use ear plugs in addition to the muffs. Depending on the targets available at your range, you may want to consider bringing your own. Many ranges only have silhouettes and do not stock targets that have multiple dots on them. Multiple dot targets are valuable for practice. Depending on the laws where you live, photographic silhouette targets (some of which have vital anatomy markings), can be a useful addition to your practice. Targets are available for purchase online from several different manufacturers and distributors. Law Enforcement Targets is a good source, but there are also many others. Keep your gear packed for your next range trip. A tool box or tool bag works very well. You won’t forget essential items if they’re packed and ready to go. Also, if an unexpected opportunity to practice arises you will be ready. Range time is a limited and precious resource, especially for those who live in an urban environment. Think about how to use your time at the range before you leave for the range. Use your resources well and you will see your skill level increase faster and to a greater extent than you might think possible.